If you have a short term need for a shipping container, call us today, especially if you are in or around Charlotte or central NC – even SC and VA. Call us to rent a quality steel shipping container for your project and we will deliver it to your location. Each one of our containers is inspected and is ready to use. No other steel storage container in and around Charlotte, NC provides steel shipping conex boxes with the degree of service that we do. If you have a short-term need for a storage container for your job site, just give us a call! Monthly rentals of our steel storage containers is available! Let us know about your storage needs and the size you need. Not sure which size is best for you? No problem! Talk to us about your storage requirements and we can determine the best size for you. Renting a shipping container is a popular choice among contractors, builders, construction companies, schools, auto dealerships, homeowners, apartment building owners, municipalities, government agencies, farms and dairy, and other industrial and commercial entities. If you need a storage container for a short period of time, don’t hesitate to call central North Carolina’s go-to steel storage container rental service today! 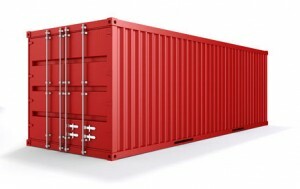 Month-to-month or short term leases of our steel storage containers are available. We have a huge inventory of steel storage containers ready to ship to your location. Simply give us a call today! While steel storage containers available for rent have a few dents and scratches on them, you can rest assured that their durability and security is exceptional, which makes renting versus buying a good choice. We inspect each and every storage container to meet our high standards of quality before it goes out to each end every customers. You get the same ruggedness, dependability and peace of mind that comes with a new storage containers but at a much smaller cost to you. It’s just good business sense. Rent your steel storage container today! Our containers are secure and ready for delivery to your job site. Just give us a call and we can deliver directly to your locations. Need more than one? Just let us know. We have one of the largest inventories of steel storage containers in North Carolina! If you have a short term need for a storage container, call us today, especially if you are in or around Charlotte or central NC. All States Containers you are only a phone call away from the best rental price on steel storage containers in and around Charlotte.